Purchases of London commercial property by non-EU investors soared last year, rising 75 per cent on 2017. But investment from within the EU dropped sharply, according to figures from real estate research company Datscha. Non-EU investors racked up £8bn in purchases in 2018. That was almost 10 times the amount spent by their European counterparts, who spent £885m, representing a 68 per cent fall on 2017. Asian and US investors were the biggest spenders. South Korean investors led the way, forking out a total of £2.4bn. Investors from China and Hong Kong made over £2.3bn in purchases, a fall of more than two-fifths on the previous year. Their reduced spend is likely due to Chinese government restrictions on overseas investment. Wework and Colony North Star’s share in the £580m purchase of Devonshire Square helped North American investment double to more than £1.26 billion. Other sources of investment included buyers from South Africa, Israel and Saudi Arabia. Office space accounted for 95 per cent of overseas commercial investment. 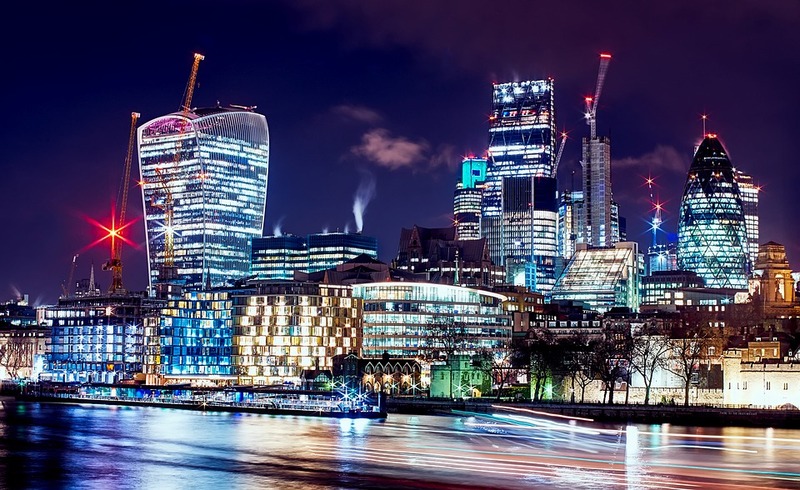 The market for commercial property in the City was “influenced by the UK’s political uncertainty and weakening of sterling”, said Lesley Males, Head of Research at Datscha. “This has still brought positive interest in the City of London from a number of overseas buyers wanting a stakehold in what we believe is an ever-appealing investment zone,” she added. The figure for France was about $360m, Japan came in at $110m, while South Korea was just $10m. Scotland was placed eighth globally for cross-border private capital investment in commercial property, such as offices, shops and industrial sites, behind Canada at $770m. The UK as a whole, including Scotland, topped the overall rankings at just over $8 billion, followed by the US at $7.4bn. Knight Frank said that total private investment in Scottish commercial property, which includes UK buyers, was £760.4m last year, a 26.3 per cent increase on 2017. The value of property owned by the UK’s biggest shared office providers soared by more than a third last year. In a sign of the growing flexible workspace market, the value of the industry’s top ten share office providers’ property jumped 35 per cent to £13.6bn last year. The new data, released by real estate law firm Boodle Hatfield, also underlined the growth in demand for shorter leases among major companies, with the 2017 average length for a new commercial property lease standing at 7.1 years on average, compared to an average of 25 years in 1987. Rising appetite for such short leases and shared office spaces has driven an increase in traditional property heavyweights experimenting in the sector, with giants such as British Land, Great Portland Estates and Landsec all looking to tap into the fast-growing market. “Shared workspaces have now gone beyond being a cool place for media and tech startups – they are now a substantial part of the commercial property market in major cities worldwide,” according to Simon Williams, partner at Boodle Hatfield. 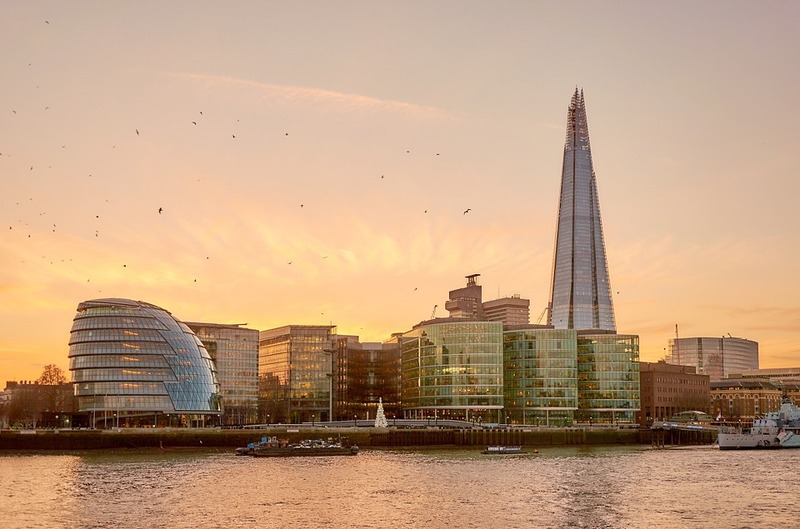 London maintained its position as the top city for global real estate investment in 2018, according to research published today by JLL. The report claims that investors continue to favour cities they are familiar with and that have well-established investment markets and high levels of transparency. Well-known, large gateway cities with the world’s deepest concentrations of capital, companies and talent continue to dominate the top ranks. Twelve cities–London, New York, Paris, Seoul, Hong Kong, Tokyo, Shanghai, Washington DC, Sydney, Singapore, Toronto and Munich–have appeared in the top 30 ranking every year for the past decade and account for 30 percent of all real estate investment. After a solid 2018 in the commercial property sector, the north has to prepare itself for a supply shortage in 2019, according to Craig Burrow, Leeds Director at Bruntwood. Speaking at TheBusinessDesk.com’s Outlook 2019 seminar, Burrow said: “From a commercial property perspective it’s been a very good year generally. Leeds particularly is having another strong year in terms of the office market take-up. We’ve also had a great year with the completion of the Platform building in the city centre. However, Burrow did say that “one of the biggest challenges” for Bruntwood going into 2019 was the “supply shortage” in the north. As for the challenges facing Liverpool, Philip Rooney, managing partner at the Liverpool office of DLA, said: “What we don’t have here is top quality office space, and we definitely need more of it. If we have that, then Liverpool will become a far better competitor to other cities. Despite this, Adam Higgins, co-founder of Capital & Centric, said he believed that the success of neighbouring city Manchester would eventually begin to benefit Liverpool from an office take-up point of view. He said said: “What Manchester has done in the last couple of years really well is attract office occupiers coming up from London, but the city is now getting to the stage where office space is going to become more and more expensive. 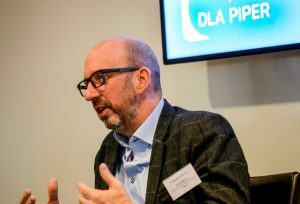 Tom Kelsall, partner at the Manchester office of DLA Piper, commented on the importance of keeping Manchester’s developments connected and act as part of a community almost. Following the success of Henry Boots Developments this past year, Clements also said they have now “gained an insight across the board” in relations to companies that take up space in studio business park developments. She explained: “The confidence that Sheffield can take forward is that good quality mid-range companies, who can afford to buy their own building, are attracted to the area. Out of the 16 companies that we’ve brought to Markham Vale, five of those have already expanded further onto the site and one of those expanding is doubling its size just in a five year period. David Wilton, Chief Financial Officer at Sumo Digital, also spoke about the city’s growing technology sector, and the importance of using this momentum to attract other global tech companies to take office space in Sheffield. He explained: “It it fantastic that Sheffield is becoming a tech centre of excellence. The foresight that drove the movement away from traditional, old fashioned engineering businesses to a more tech end digital city was great. Despite the wider UK economic uncertainties and of course the unknowns of Brexit, the commercial property market in Yorkshire is holding up well and showing plenty of the resilience the region is famed for. The industrial market in particular is very active, with increasing numbers of businesses looking to expand outside city areas into the many industrial parks that have sprung up in recent years. In the latest RICS commercial property market surveycovering Q3 of this year, surveyors were positive about Yorkshire with one observing that there are “no signs of pre-Brexit jitters”, adding however that “we need more stock to enable occupiers to fulfil their expansion plans”. The demand for good commercial space is high. Turning to the focal point of the regional economy, Leeds, the city is home to many major development schemes. A report from Leeds city council published in 2017 highlighted that there had been £3.9bn of development schemes completed in the city over the previous ten years – with a further £7bn in the pipeline. You only need to look at the number of cranes against the skyline to see that this activity is still forging ahead. The blot on the landscape, however, is retail. The national malaise affecting the High Street applies in Yorkshire as much as anywhere else. Many city centre shopping centres are struggling to attract business. Some areas with a relatively wealthy demographic, such as Harrogate, may be continuing to attract footfall, but other cities in the region are undoubtedly finding the going tougher. Retail property values are struggling to hold up and funds have begun to exit the sector in favour of office and industrial. The Chancellor’s Budget recently included measures to help the High Street, with £900m in business rates relief for small businesses, a £675m ‘future high streets fund’ for the transformation of high streets and potential changes to planning rules to allow shops to be converted in homes and offices. How far these measures will go, in Yorkshire and nationally, to support the retail sector and stimulate demand for space only time will tell. One of the great factors supporting the resilience of the Yorkshire market is the attractiveness of the region as a place to live and work. The population of Leeds, for example, is projected to grow from 779,000 in 2016 to 826,000 in 2026 – an increase of 6%. The popularity of the region as a place to live means that it will also remain a good place to do business, underpinning both the residential and commercial markets. This will be further bolstered when HS2 eventually comes on line, increasing and improving connectivity. The recent decision of Channel 4 to make Leeds its new national headquarters was further proof of the attractiveness of our region and a great shot in the arm for the city. It will have a ripple effect across the local economy. Lenders remain active in the market, willing to lend against good residential and commercial developments. With a growing population, improving infrastructure and funding available, the region’s property market looks set to continue to offer attractive opportunities for both developers and occupiers. London’s skyline is changing fast, pierced by gleaming new skyscrapers which defy predictions of a Brexit-related slowdown in the capital’s two financial districts. Local authorities have spent a huge £4.1bn on commercial property over the past four years and are on track to set a new annual spending record this year, according to exclusive data from Savills. Last year they spent a record high of £1.8bn, a whopping 1,868% up on the £93.8m spent in 2014. 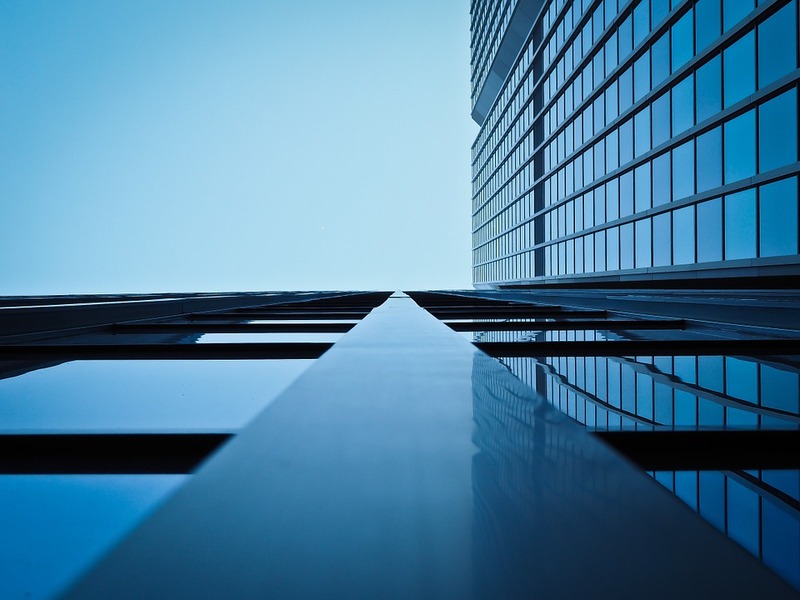 As a result of this spending spree, local authorities have seen their share of total investment in the commercial property market grow from 0.2% to 3.4%. The investment push was sparked by the government’s announcement in December 2015 that local authorities would need to finance their spending entirely from locally raised revenue by 2020. Many councils took advantage of low-interest-rate loans available from the Public Works Loan Board. With the supply of central government funding due to be cut off, councils need to find alternative sources of income to ultimately pay for the services they need to supply to their residents, says Mark Garmon-Jones, a director in Savills’ UK investment team. Hence the rush to invest in revenue-generating commercial property. In many cases, councils are buying property in their own town centres to kickstart regeneration projects “that the private sector can’t or won’t do”, says Garmon-Jones, citing the example of retail-led regeneration schemes. “Interestingly, there hasn’t been a shopping centre bought by a local authority outside its jurisdiction,” he says. Since January 2014, the top five biggest local authority investors in commercial property have been Spelthorne, Runnymede, Warrington, Canterbury and the City of London. Just a fortnight ago, Spelthorne Borough Council, which had already spent £620m on commercial property since the start of 2017, acquired a £285m office portfolio from Landid and Brockton Capital. Council spending on commercial property hit £994.5m in the first half of 2018, up from £681m during the same time period last year. Yet Garmon-Jones predicts spending in the second half will cool and end of year totals will be about the same. The UK housing market is in the doldrums, but commercial property still has a lot to offer. 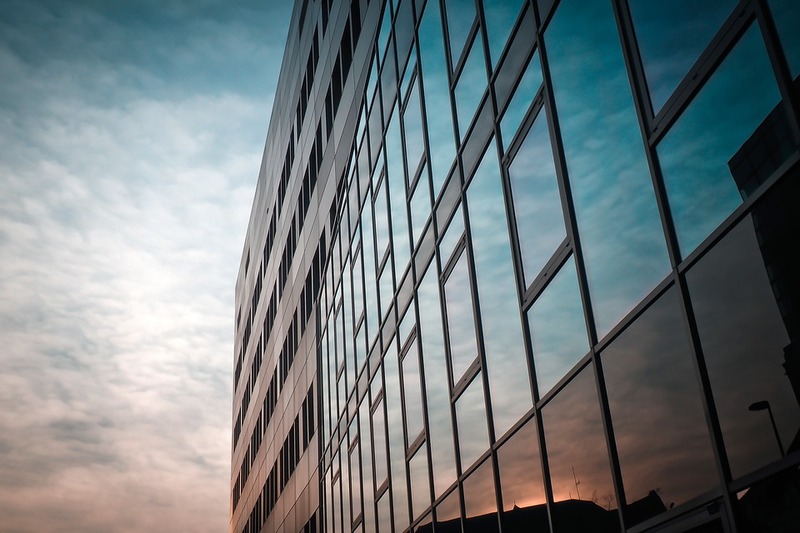 The residential property market in the UK may have been in the doldrums for the past year, but most of the commercial property market has been in rude health. That was the message from Marcus Phayre-Mudge, manager of TR Property Investment Trust (LSE: TRY), at the company’s recent annual general meeting, following a year in which the trust’s net asset value returned 14%, and its share price 27%. Admittedly, much of this performance came from the 62% of the trust’s assets invested in Europe, but the return from its UK assets has been similar. Since the end of 2015, UK property equities have lagged, with a negative return of 5% compared with more than 50% from Europe, but most of the gap opened up soon after the Brexit vote in mid-2016. Yet while uncertainty about Brexit “overshadows investment and creates instability, not least in sterling”, notes Phayre-Mudge, “there seems no end to the overseas buyers of trophy buildings”. Other risks hang over the trust too – discord in the EU, rising oil prices (and hence inflationary pressure), and the continued rise in US interest rates (and hence the dollar). However, Phayre-Mudge is “confident in what we own, though careful about what we don’t”. While physical retail is struggling, online retailing continues to grow – “logistics sheds are the new shops”. In 15 years, industrial property and retail property have swapped places as the least and most-favoured parts of the market with Segro, formerly Slough Estates, now a sector darling. Student accommodation, self-storage and healthcare have also proved to be growth areas, with secure income streams indexed to inflation. The office market in central London has been “surprisingly strong”. Phayre-Mudge remains cautious, but notes that companies such as Land Securities, Great Portland and Derwent London have reduced their levels of debt, “so there will be no repeat of the 2006 crunch”. Meanwhile, the market for offices around the M25 has been buoyant, to the benefit of McKay Securities, which specialises in the development and refurbishment of buildings in less fashionable areas, such as Bracknell, Redhill and Egham. In Europe, rising rents and occupancy rates mean that markets are in good health, while rising wages in Germany have been good for the residential investment companies there. This exposure to Europe will protect the trust in the event of what veteran investor Michael Moule described as “a risk ten-times worse than Brexit; the election of a Marxist-inclined Labour government, which may only be a 20% probability but would result in exchange controls, rent controls, lower sterling and inflation”. In that event, Phayre-Mudge would expect to boost the trust’s European exposure and focus its UK investment on properties with index-linked income. At last year’s AGM, Phayre-Mudge pointed to a great long-term buying opportunity across the property sector. TR remains the best vehicle for such exposure.